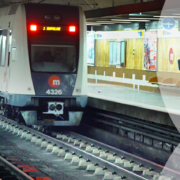 edilon)(sedra successfully installs a RetroFit solution for worn-out metro tunnel tracks: Corkelast® EBS-RF. A proven refurbishment concept for old booted (bi-)block sleeper tracks under operation. For more information about this fast and reliable replacement solution download our press release.